The Dailey Method is definitely known in San Francisco and worldwide as one of the most effective and quickest ways to change your body shape and tone. Two months after having Harley, I decided to commit to these no-nonsense workouts (just 2x a week) and was joyfully overwhelmed with how fast my post-pregnancy body took back ownership of my pre-baby shape. Jill Dailey started her practice and business on just this premise, to empower women by strengthening their bodies, minds and confidence. Jill shares her story of how she built her business from her first client into a worldwide operation and franchise company and a few tips/ exercises for getting started on alignment and strength at home. 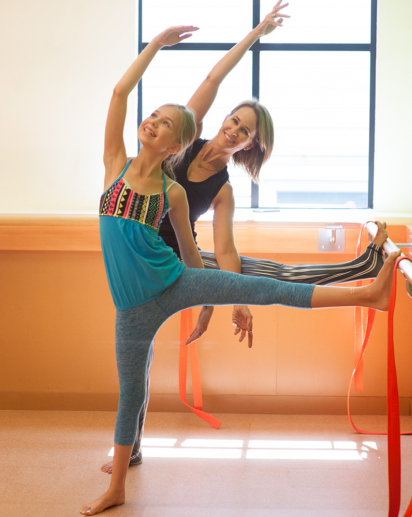 I am the founder of The Dailey Method Barre Studios. I am a mother of three children, a wife, a teacher, a friend and a sister. I started my journey as a dancer. In college I was drawn towards anatomy and physiology classes and realized I loved learning about the human body. This led me a degree in kinesiology.